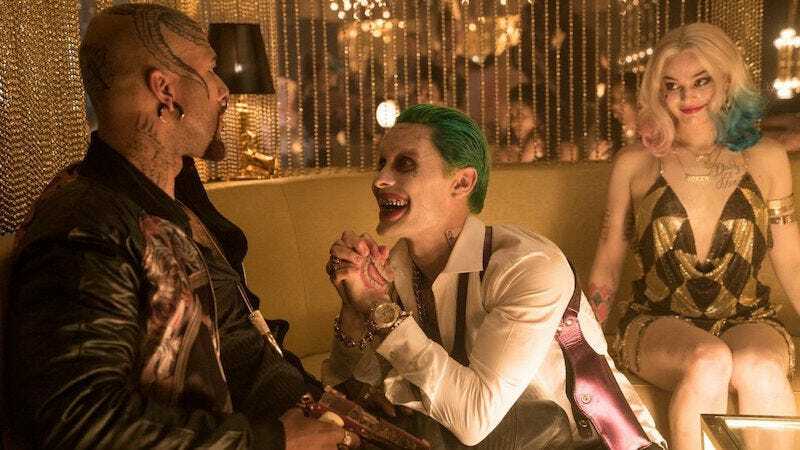 Suicide Squad's Getting an Extended Edition, But What's Being Added? It’s not a huge shock that Warner Bros. would take advantage of what, according to Jared Leto, is a giant pile of his craziest material. So, following in a trend designed to get people to buy several copies of the same movie, Suicide Squad is getting an extended edition. But as we’ve seen time and time again, nothing involving Suicide Squad can ever be simple. Honestly, there are so many parts of this extended cut being released that are amazing. And by “amazing,” I mean “hilarious and ironic.” The first is, of course, that this release brings to mind the story that there were two cuts of this film: the one Warner Bros. had the company that made the trailer do and the darker one that director David Ayer actually wanted. The movie we got is supposedly a compromise between the two visions. The question is which version the extended cut shows us more of. The second thing is that this edition is still probably not Ayer’s, since he told Collider, “We have a chunk, there’s definitely over 10 minutes of material on [the DVD]. But this cut of the movie is my cut, there’s no sort of parallel universe version of the movie, the released movie is my cut.” That doesn’t sound like he’d be in the mood to make another version. And the third amazing part is, as always, related to Jared Leto. He’s said there’s probably enough cut footage of him to make an entire Joker movie out of. He also said, in that same BBC radio interview, that the footage would all come out if he died. Or, you know, on an extended cut release. Which we are, contrary to Ayer’s comments and Leto’s belief that he’d have to die first, obviously getting. The digital version of the extended edition will be available November 15, and the Blu-ray on December 13.